Post your jobs on Ireland's fastest growing job site and the applications will come straight to you – saving you loads of time! Search thousands of candidates from all sectors and get the best matches sent straight to your inbox with CV Watchdogs. Create your shortlist of CVs and contact the best candidates straight away to fill your roles quickly and easily. With thousands of unique users applying to jobs every month, your vacancies will receive fantastic exposure across Ireland. At CV-Library all job postings are live for 28 days to ensure you get the best response possible. Register with us today and one of our team will be in touch so you can start advertising your jobs. Save precious time and money on your next recruitment drive by searching for candidates from the fastest growing CV database in Ireland. Our dynamic CV search and SmartMatch Technology help you find the best candidates for your roles quickly, and our innovative CV Watchdogs deliver relevant CVs to your inbox the moment they’re registered. SmartMatched CVs: We make sure the CVs you need are pushed to the top of your searches with our special SmartMatch technology. CV Watchdogs: Save hours of CV searching by setting up CV Watchdogs – these deliver new CV matches straight to your inbox every day! New CVs: Every month hundreds of new candidates register their CVs with us, so you will always have access to an up to date talent pool. Save & download CVs: With CV database access you can save and download CVs for free to browse at a time that suits you. 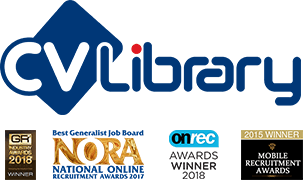 Established in 2000, CV-Library.co.uk holds the UK's largest database of over 13.7 million CVs from candidates in all sectors. With your CV-Library.ie account you can also access this growing database of live candidates and post jobs to help fill your UK positions. This award-winning job board is already trusted by over 10,000 recruiters throughout Northern Ireland, England, Scotland and Wales. Phone us today on +44 1252 810995 to find out more about recruiting with CV-Library.